The world’s 5,800 lizard species inhabit every continent except Antarctica, utilizing habitats as diverse as caves, creeks and the rainforest canopy. Many species dig in the dirt, for specific purpose, at some point in their lives. Even species such as chameleons, which are adapted to living in the trees, dig holes in the dirt to deposit their eggs. Depending on the species, a lizard may go under the dirt to deposit eggs, thermoregulate or avoid predators. Lizards get underground by digging a burrow, entering an existing burrow or pushing directly into and under the substrate. Many have morphological adaptations to facilitate these behaviors. Virtually all terrestrial or fossorial lizards will opportunistically use existing burrows; but those who dig extensive burrows usually have powerful limbs and stocky body plan. Some species have wedge-shaped heads and smooth scales to reduce friction and allow them to push their heads into loose substrates like sand. Lizards deposit their eggs in sheltered places such as rotten or hollow logs, tree hollows, soil or leaf litter, and under rocks. By burying their eggs in dirt, the females provide the eggs more protection from predation -- though some are still lost to predators capable of sniffing out their location. The location requires careful selection by the mother. The temperature and moisture level surrounding the eggs will determine the viability, and sometimes the genders, of the eggs in the clutch. Many lizards burrow into the substrate to avoid the attention of predators; some species are capable of digging fast enough to escape by burrowing. The streamlined bodies and polished scales of most skinks (Scincidae) help them to burrow effectively, but sandfish (Scincus sp.) exhibit the most extreme burrowing adaptations in the family. They can disappear under the sand in seconds. To travel that quickly, sandfish have a number of adaptations, including undercut lower jaws, greatly reduced ears and polished scales. As ectotherms, lizards adjust their temperature behaviorally: When lizards need to raise their body temperatures, they can bask in the sun or lie on a warm rock; to lower their body temperatures, lizard can retreat to the shade, alter body posture to reduce sun exposure, or burrow into the substrate. 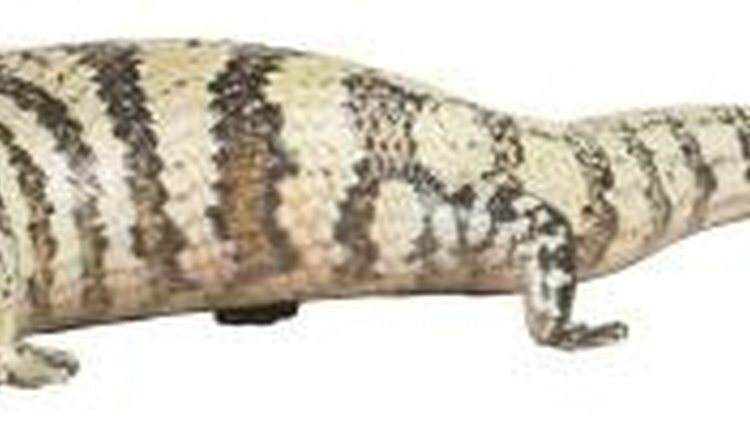 Burrowing into the substrate is an effective means of cooling off; lizards do not have to burrow very deeply to obtain relief. Most often, lizards will burrow right below the surface , leaving nostrils and eyes above the dirt. Sometimes they burrow more deeply during temperature extremes. Burrowing behaviors are helpful for thermoregulation in the winter, when the lizards escape low temperatures by going into the ground.